Almost any new business that anyone starts today is going to rely on the internet. This means that the net is where you’re going to have to sell your business, which in turn will require a deft grasp and understanding of digital marketing. No modern entrepreneur can afford to be ignorant of digital marketing. How much you need to know depends on the nature of your business, and also perhaps the knowledge and skills of the people you’re going to be working alongside. However, there’s no way that your business is going to succeed if you don’t have any knowledge of digital marketing. Even if your initial business is entirely earthbound and very much local, for it to grow at all, you’re going to need a website. You’ll also likely need to establish a social media presence. You’ll have to advertise, and these days, that means promoting online as well as via print and other traditional platforms. You’ll also certainly need to email clients and customers, and will probably find it beneficial to build up a mailing list to let them know what’s going on. All of these factors require digital marketing knowledge. Digital marketing is online advertising and promotion. It’s about understanding the uses of social media, search engine optimization, emailing tools and mobile apps. It’s about maximizing and directing your company’s online presence, which in turn is the best way to generate leads and build business. 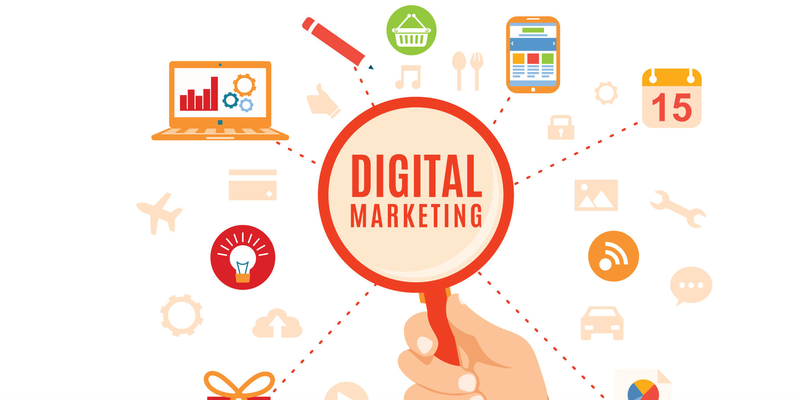 Digital marketing is growing, changing and becoming more sophisticated all the time, and you simply can’t afford to be left behind. Where can I learn about digital marketing? An increasing number of colleges and universities now teach digital marketing, either as part of an overall marketing, IT or business course or as a subject in its own right. Bryant and Stratton College(see Bryant and Stratton College on Twitter) hosts a bachelor’s degree in digital marketing, alongside similar degree-level courses in accounting, general management and organizational leadership. Diploma and associate-level courses are also available. Getting a formal qualification in digital marketing will not only give you the confidence and ability to effectively promote your business online, but it will also impress clients and potential investors that you know what you are doing as an entrepreneur. Let’s assume that your business, Jack’s Tools, has a website, as it really should. That’s great, but how are people going to find it? They could Google “Jack’s Tools” if they know your business name, but even that’s no guarantee that your site will be the first link returned. Several other businesses worldwide may have the same name, or a similar one. What about those people who haven’t heard of Jack’s Tools, but are just searching for a good tool store in their area? How can you make sure that when your neighbors search for “tool shops near me”, it’s Jack’s that comes up and not your competitor, Barney’s Tools, which is neither as good nor as local? This is what’s called search engine optimization (SEO), a critical part of digital marketing strategy. SEO is about optimizing your website, using keywords, content, tags and functionality so that major search engines such as Google and Yahoo will return it first (or at least on the first page) for appropriate searches. Do I need digital marketing on social media? Let’s assume that Jack’s Tools is on social media platforms such as Facebook, Twitter, LinkedIn and Instagram. Good for you – but how can you make sure that these platforms are really working for you in the best way possible? Sites such as Facebook use complex algorithms to determine what posts and ads get seen. Digital marketing skills will help you to stay ahead of these algorithms and give your business the widest promotion to the right people. Basically, there are two ways to use social media. The first is to be present on it and post regularly, which is free to do. The second is to pay for targeted ads. On Facebook, you can also pay to boost messages from your page so that they reach more people. However, understanding how and when to do this is a complex matter. How can you learn about it? That’s right – through digital marketing. Hopefully, this has been enough to convince you that entrepreneurs really do need to learn about digital marketing if they’re going to survive in today’s globallyconnected, internet-driven world. You can pick up a certain amount online, but taking an accredited course such as a college degree is the best way to be sure that what you’re learning is correct, comprehensive and uptodate. The internet is a gift to entrepreneurs, but ignoring digital marketing is simply throwing that gift away.